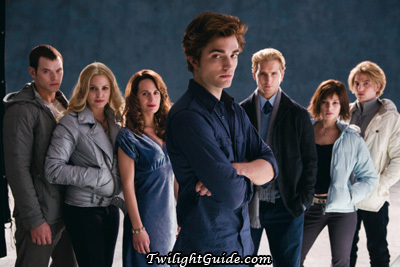 The Cullens tell humans that Jasper is Rosalie Hale's twin brother due to their physical similarities; for this purpose, they both use Rosalie's surname of "Hale". Also Rosalie prefers to use her surname "Hale" rather than "Cullen". their names r hale and not cullen because the r supposed to be emse's neice and nephew whos parents died and esme and carlisle take them in. but thats just the story that the humans know. none of them including rosalie and jasper r in any way related. Rosalie and Jasper look 더 많이 alike than the other cullens so to make their story 더 많이 believable, they said they were siblings when adopted 의해 the cullens. They are in no way related. thier last names are Hale because they are in 사랑 with Cullens and if they had the same last name that would mean that the were related and that would just be disgusting and gross because "Rosalie Hale and Emmett Cullen" Jasper Hale and Alice Cullen"
rosalie's real name is actually Hale. but due to the fact that jasper and rosalie both look really similar and blond,they made that 더 많이 plausible for them to be twins. and the story is that they were both with esme as their aunt 또는 something since the age of 8. they were supposingly brought 의해 esme when she married carlisle who brought emmett,edward and alice as his foster kids. Their names are Hale because they'd shown a little resemblance and they were supposedly Esme's niece and nephew. I believe the whole "foster family" show with a group of that size was a little suspicious so they had to switch it up a little. They used Rosalie's surname. Because they look very simliar sooo they pretend to be twins and their last name as Hale.